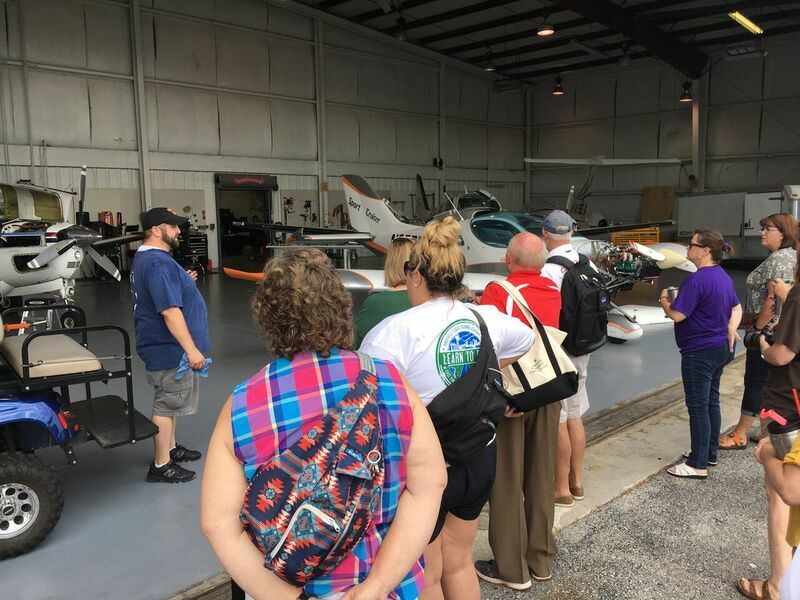 Presenting topics of interest to Aerospace Educators, Civil Air Patrol Aerospace Education Officers, CAP members, pilots, Astronomy Educators, Earth Science Educators, Science Teachers, elementary school teachers, and all who are interested in aerospace and/or the earth sciences. 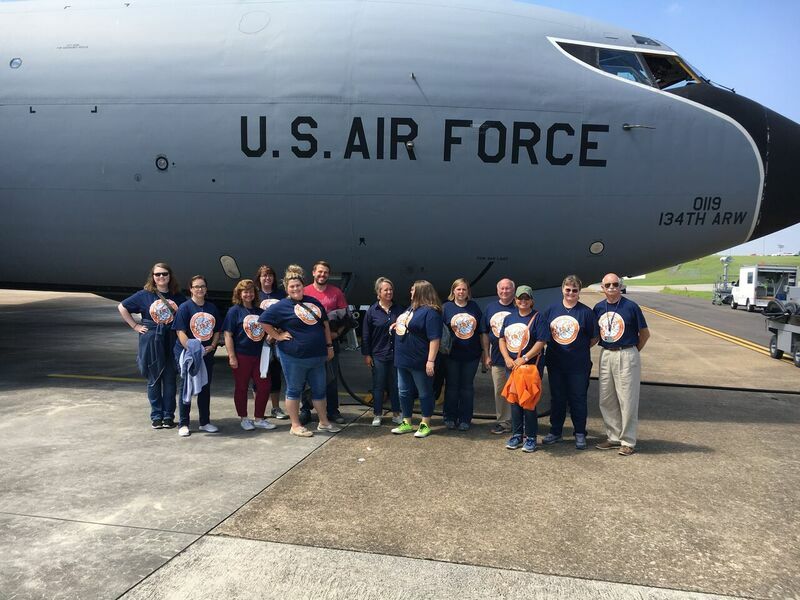 This is a non-profit www page and is not an official website of the Civil Air Patrol..
2019 March update: The Aerospace/STEM Workshop for Teachers is moving to the Oak Ridge Associated Universities in Oak Ridge for Jnne 10-14, 2019. 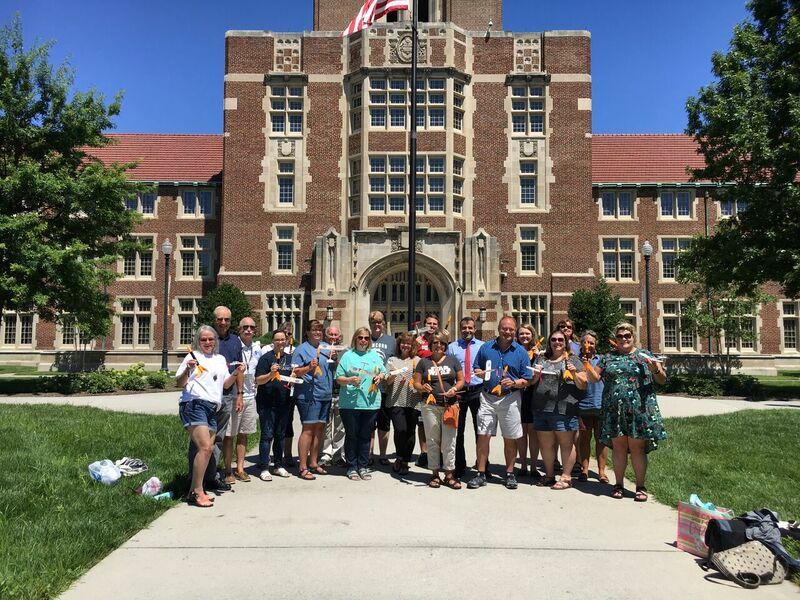 The workshop has had a 23 year run of highly successful AE teacher workshops at UT Knoxville with all of the teachers rating it as the "best teacher workshop" they had ever taken. We also had two National AE Teacher of the Year awardees from the past two years. Application to attend the workshop pdf As of March 26, Class is full, Class is closed for new applications. 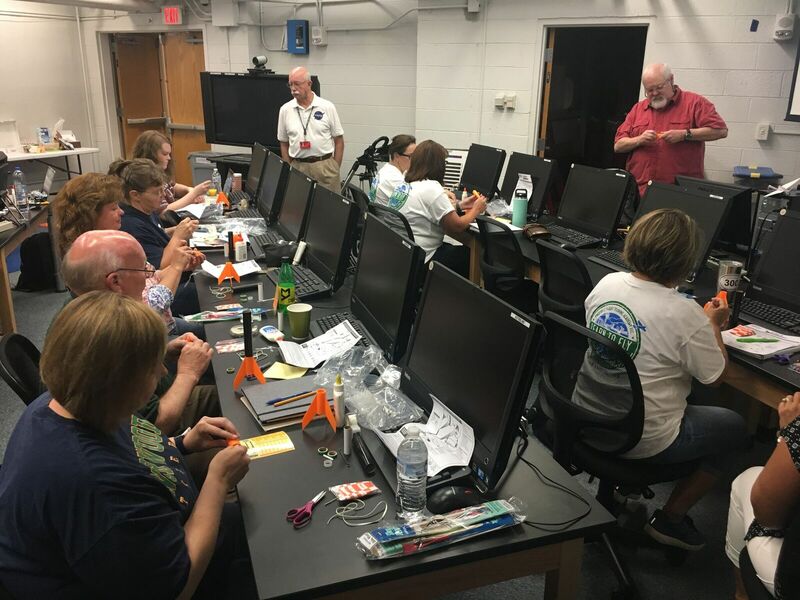 Join the Civil Air Patrol as a teacher member, AEM, and tap into free classroom STEM kits, 14 different ones, and other aerospace education and STEM resources. All free! 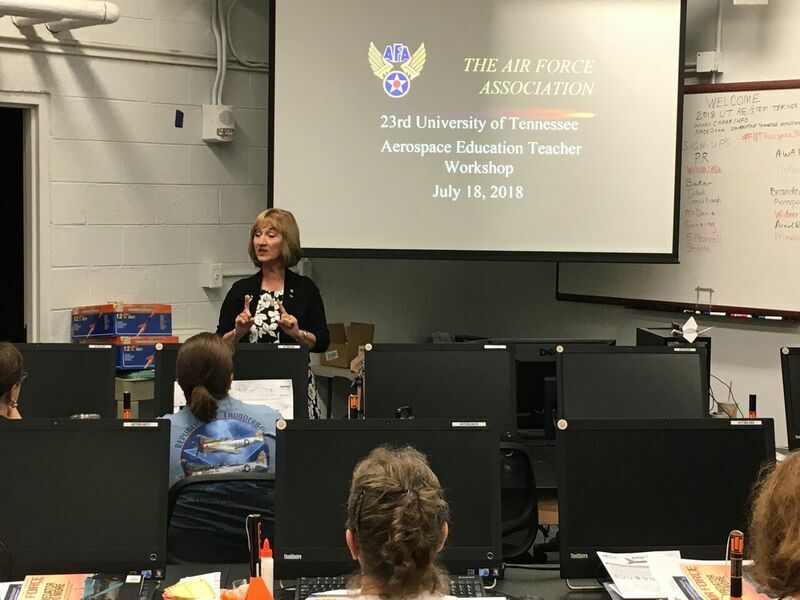 A number of teacher workshops in Aerospace Education will be presented throughout the southeast region of the USA next summer. The following is a current list of workshops scheduled for this summer. Most offer graduate credit and many offer tuition free grants. Check this page for additional listings. 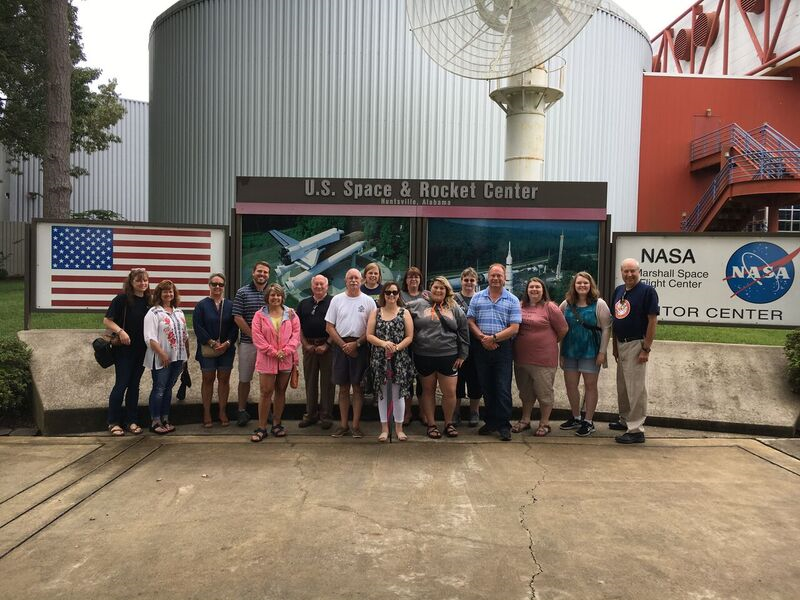 Marshall Space Flight Center--Huntsville; on-going teacher resources and workshops. Check their Website for current listings. 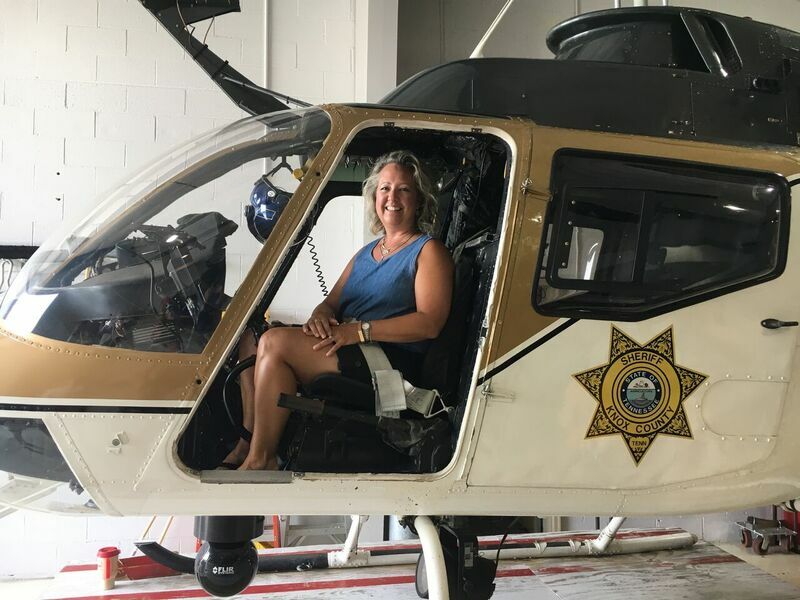 There are three particular programs our chapter participates in: (1) Teacher of the Year, (2) Matching Grants, and (3) Matching Grants Other than Education. 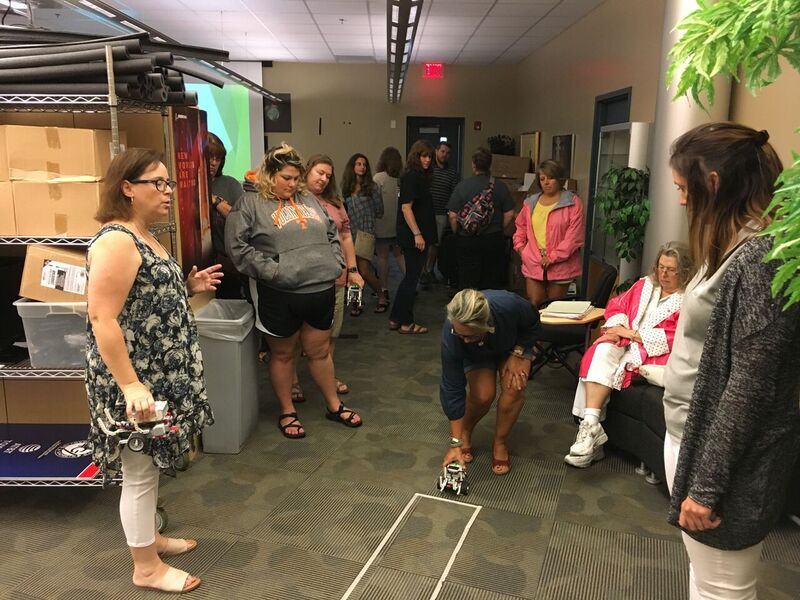 The objectives of these programs, respectively, are to recognize classroom teachers for their accomplishments and achievements in exciting K-12 students about STEM, promote and develop STEM activities and events, and promote activities that advocate and support STEM. You can find requirements and selection criteria, again, respectively, at www.afa.org/aef/aid/cty.pdf,www.afa.org/aef/aid/matching.pdf, and www.afa.org/members/CMG_OTE.pdf, and the deadline for submitting nominations to me atrafael_pubillone@bellsouth.net for all three programs is the end of February (Thu, Feb 28). You also can call me at 865-458-6111 if you have any questions. We're happy to announce that starting this year we'll be able to submit nominations to compete in two categories for teacher of the year: K-8 and 9-12. We're sure we all know someone somewhere worthy of one of these awards...and it doesn't matter if the person you have in mind already has won in another organization. Let's continue to keep the State of Tennessee at the forefront in these worthy endeavors. Also STEM Kits from CAP available to AEM's, and AEO's. We still have an active STEM Kit program with money to support the distribution of the STEM Kits to their squadrons and to AEM's for their classroom. www.capmembers.com/ae and click on STEM Kit program at the top of the page to find out how to request a kit. These kits are free and can be kept at the squadron forever……We would love to provide these kits to the AEOs and help further the AE mission in CAP. Go to www.capmembers.com/ae and click on AE Announcements to learn more about all of the upcoming AEO Schools. Go to the National CAP Website and then to AE section to order. They are free and are a great resource. 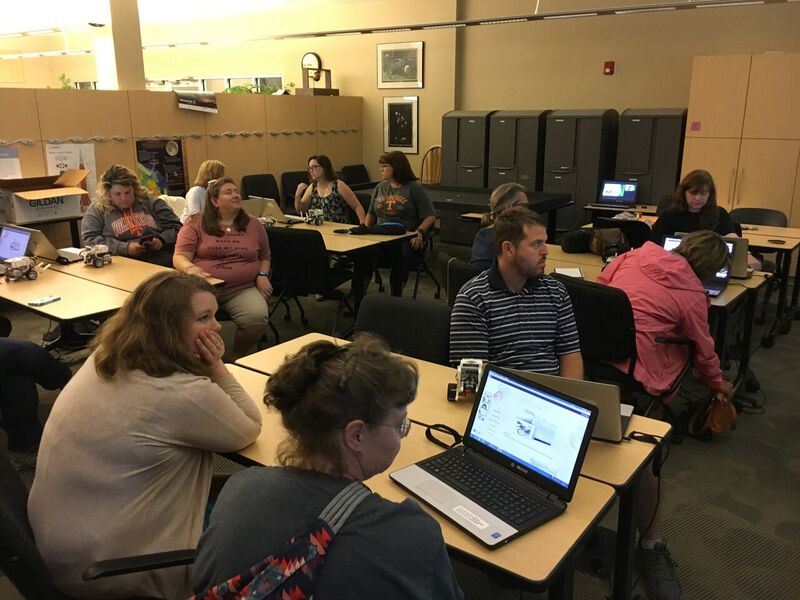 How to do a Teacher Workshop, PowerPoint Presentation given at the CAP National Conference August 12, 2016. 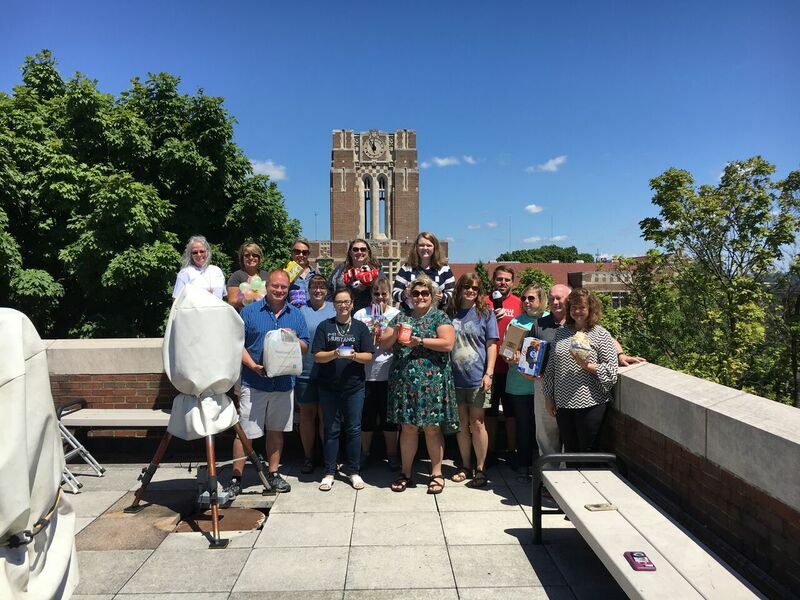 CAP National AEO School to be held in Pensacola, FL, June , 2019. Cadets and senior members provide a wealth of talent that can be drawn on for many different projects and events. 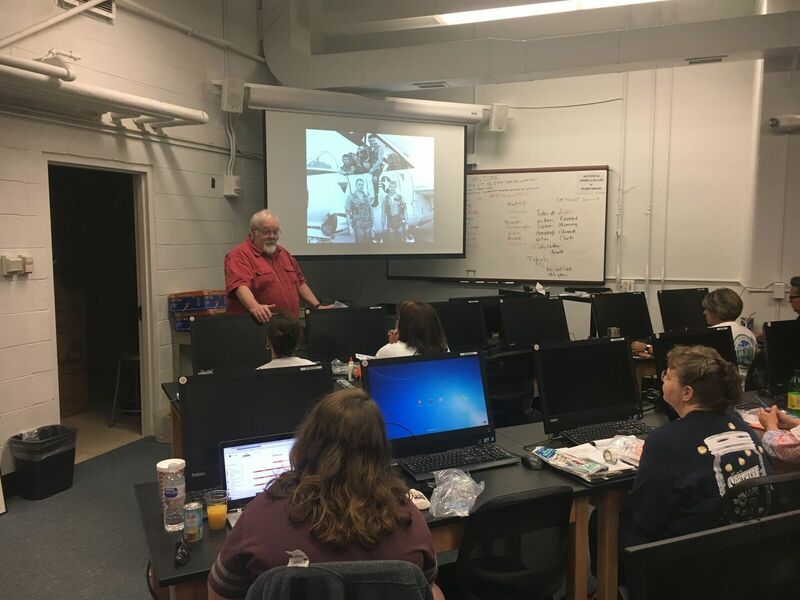 Teachers may join the CAP as Aerospace Educators and take advantage of many resources available through CAP, USAF, and NASA. Contact CAP for additional information about teachers CAP AE membership. October 1, the new online version of the Squadron AE Plan of Action (POA). The FY 18 POA, due October 15, can be accomplished by hard copy, using formats in CAPP 15, or it can be completed online. You will find the online version much easier and less time consuming. The paragraphs below provide you with information about the online POA and other AE deadlines. Wing DAEs and Region DCS/AEs will have access, and will be able to view the submitted Squadron POAs. Please send this email to your squadron AEOs so they will be aware of the online POA and upcoming deadlines. 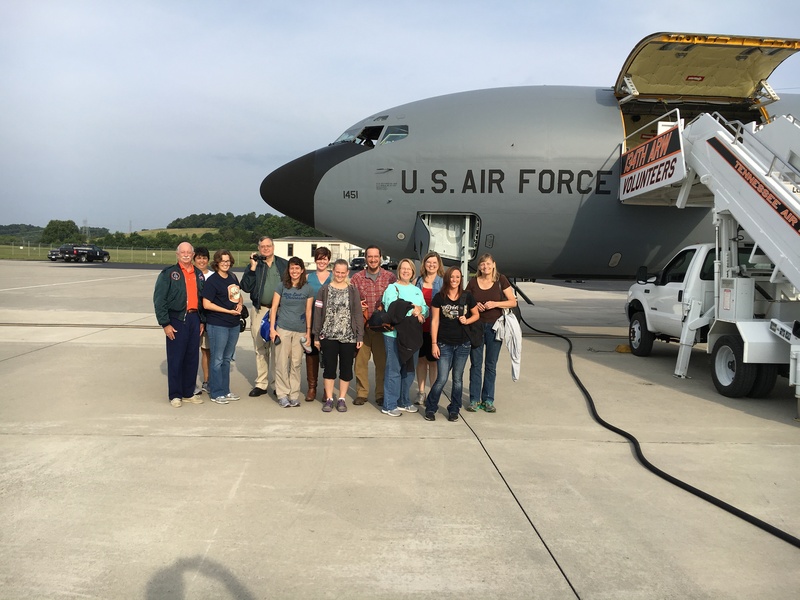 The FY 16 online Squadron AE POA can be found on eservices. Look on the left side of the main page if you are using the old eservices, and look in the AE section if you using the new eservices. Read and follow the instructions on the Home Page. The squadron AEOs will find the form to be very self explanatory. Squadron AEOs should discuss their POA with the Squadron Commander and then obtain the commander’s approval prior to submission. The commander’s approval will be indicated at the top of the form. Just a reminder, here is information regarding upcoming AE deadlines/timelines. In 2014, AE switched the POA, AE Annual Activity Report and nominated AE awards from calendar year to fiscal year to be in line with others in CAP. These changes required date changes, which appear in the 2014 update of CAPR 280-2. So, based on this information, 2018 end of year squadron AE Annual Activity Reports will be due to the next higher headquarters by October 15 following the formats in CAPP 15, dated December 2009, pages 32-37. Group and Wing AE Annual Activity Reports are due on the dates noted in CAPR 280-2. For AE Award nominations, use the forms in CAPP 15, pages 36-44, and submit the nominations according to the dates listed in CAPR 280-2, dated 2014. 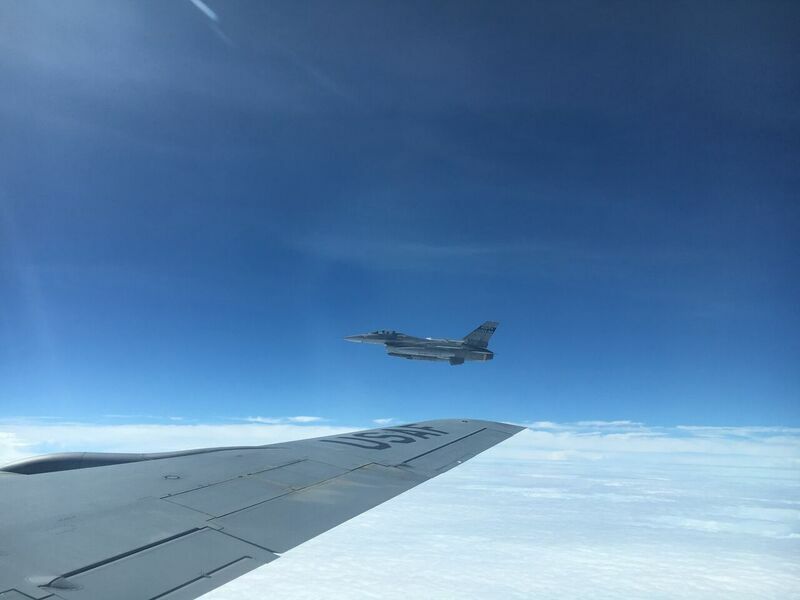 AE Plan of Action and End of Year AE reports for squadron, group, and wing: See National AEO resources and reports section. Note: Report forms are found in your AEO handbook, PO15. to setup your account and then log in and start your discovery. 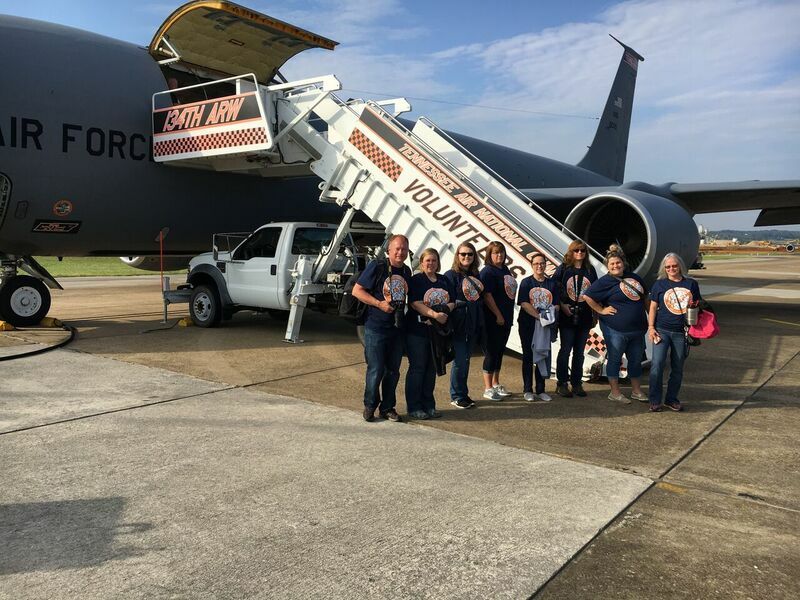 There is a group for Civil Air Patrol Aerospace Education, so be sure to join this group and start sharing your AE experience for fellow CAP AEO's and AEM's. 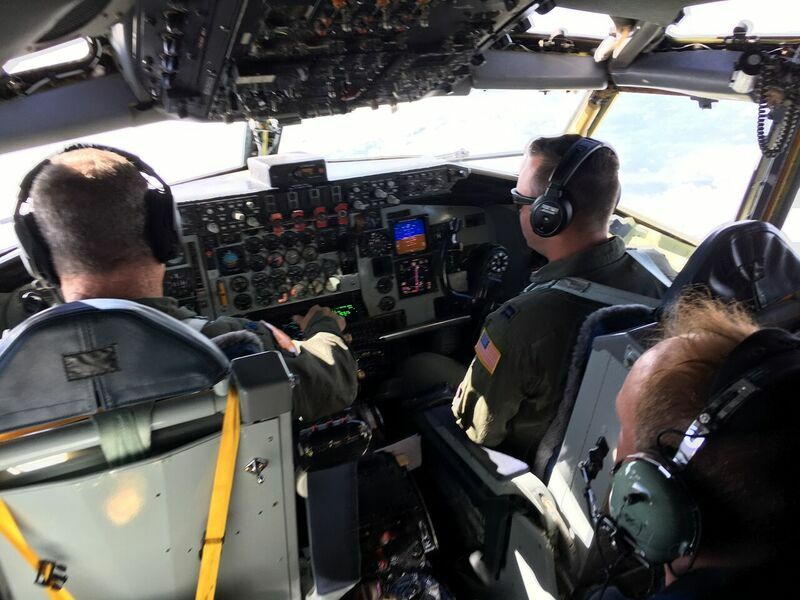 CAP Aerospace Education Member (AEM) contact information – CAP Region and Wing Commanders, DCS/AEs and DAEs in each region and wing now have accessibility to the names and contact information of Aerospace Education Members in their wings and regions. 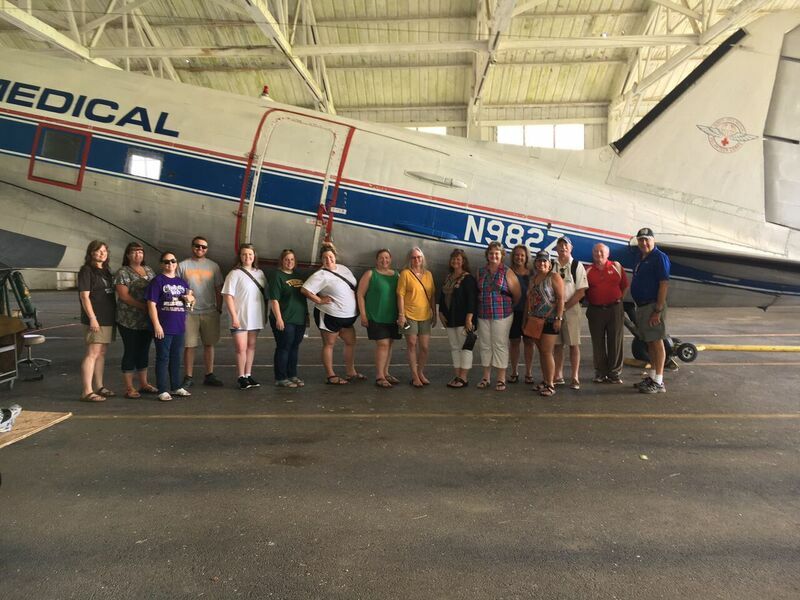 We would like you to know who these outstanding people are so you can invite them to AE workshops, Fly-a-Teacher events, and any other relevant program that would apply to Aerospace Educators for your area. This information can be found in e-services under Member Reports and Aerospace Education links and requires permissions received from your commander. Information for CAP Directors of Aerospace Education (DAE) pertaining to the Yeager Test: CAP members can now receive immediate feedback when they take the Yeager Test online. After successfully passing the test online, the member will automatically have his/her accomplishment posted to his/her records and the Yeager Certificate will be available for download as a pdf. DAEs can track which wing members have taken and passed the online test by logging in at https://ntc.cap.af.mil/login.htm and going to "Test Reports" in the left column of the menu. 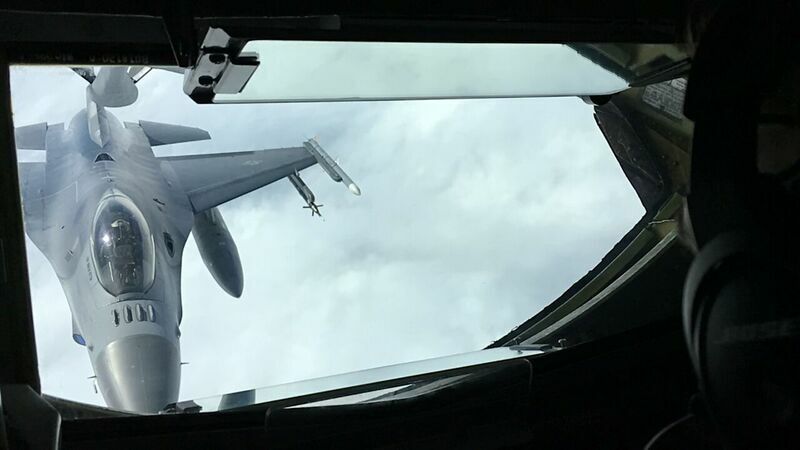 This link is restricted to those assigned to CAP region or wing HQ. If the DAE is not assigned to the wing HQ, please contact ae@capnhq.gov for specific permissions. (NOTE: A Form 127 and CAPC 20 are only needed if the exam is taken with pencil/paper.) This process should streamline the CAP Yeager test process and make the reporting easier for all concerned. CAP Aerospace Education materials can now be ordered online! AEMs, AEOs, and AE Affiliates can now order one copy of our materials via our online ordering system. Sign in at CAP’s e-services: https://www.capnhq.gov/CAP.eServices.Web/Default.aspx Look on the far right column and find CAP Materials and click Submit Order. You will find a drop down menu where you should choose AE Materials. Fill out the order form and our mailroom will process and fill your order. If you need any further assistance, please contact ae@capnhq.gov. You can view the latest AE Newsbrief from CAP NHQ at: http://members.gocivilairpatrol.com/aerospace_education/stay_informed/ae_newsbriefs.cfm on our CAP AE web pages. Some of you already do this but: Please pass this link on to your Aerospace Education Officers in the units and any other interested parties such as your AEMs, PAOs, Cadet Programs leaders, etc., so they may be kept in the loop as far as what is available to CAP members and the latest AE information. Visit the AE website at: www.capmembers.com/ae to learn about all of the resources and opportunities CAP AE offers its members. Learn about the AEX (Aerospace Education Excellence) Program, grant opportunities from AFA, Teacher Orientation Program (TOP) Flights, the K-6 Aerospace Connections in Education (ACE) Program, Model Rocketry Program and the latest info on what is new for Aerospace Education Officers and Aerospace Education Members (AEMs) – teacher members. Another successful National AEO School! 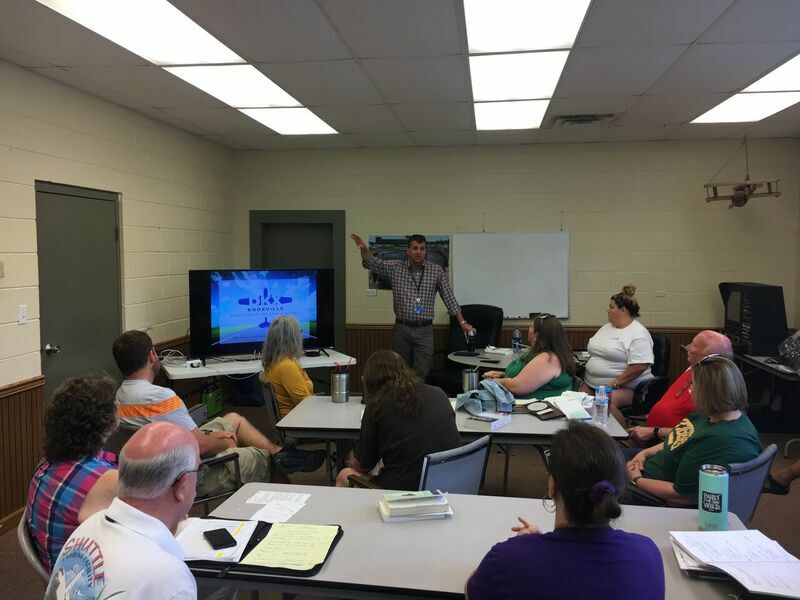 I attended the June National AEO School at Pensacola Naval Air Station. We had over 40 AEO officers from across the county attend. The school was another big success! I encourage all AEO officers at all levels to attend this school. Details for 2014 are on the National AE Website. The school is scheduled for the last week of June 2015. 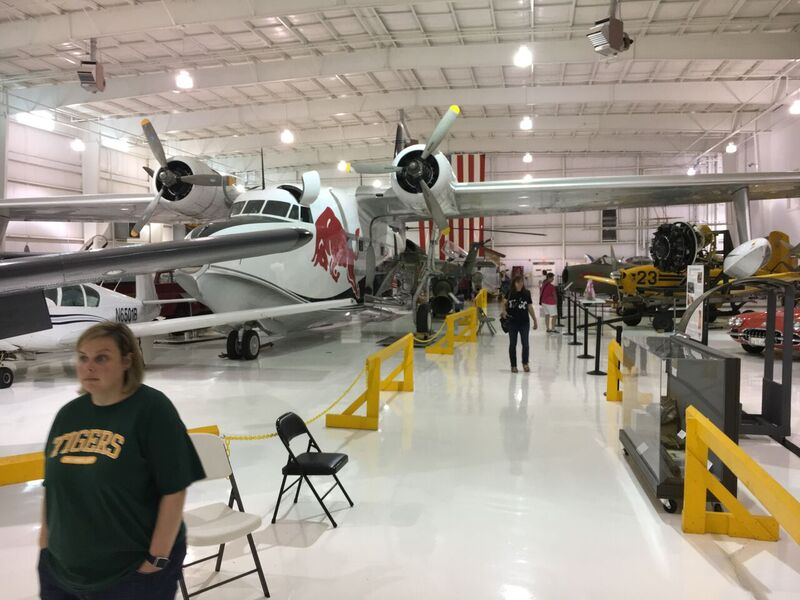 Pensacola Naval Air Station, Pensacola Florida, June 2019 tba. Additional AE schools are being planned for other parts of the country. This AE school is aimed for state CAP DAE's, Region DCS AE, and AE staff at state, group and squadron levels. AEX Application and Completion Report Now Online! It is now even easier to participate in the CAP Aerospace Education Excellence Award (AEX) Program. You can go online in CAP e-services and apply electronically and submit your completion report electronically. When you apply, you will receive an email confirmation and soon after you will receive your AEX books in the mail. 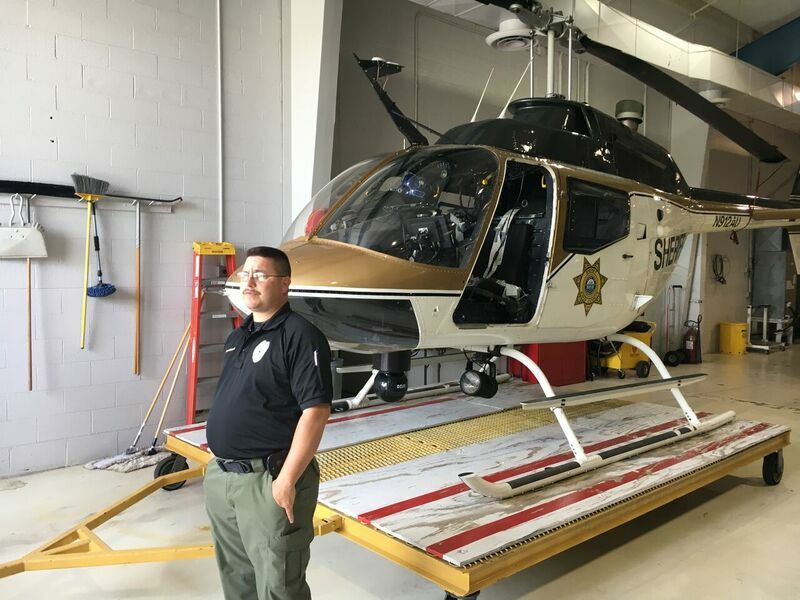 Upon completion of the program, simply fill out the electronic report online and receive your plaque and certificates in the mail in about 2 weeks. Now is the time to join us for this exciting program! If you need to find out more go to http://members.gocivilairpatrol.com/ae and check under the appropriate AEX column. 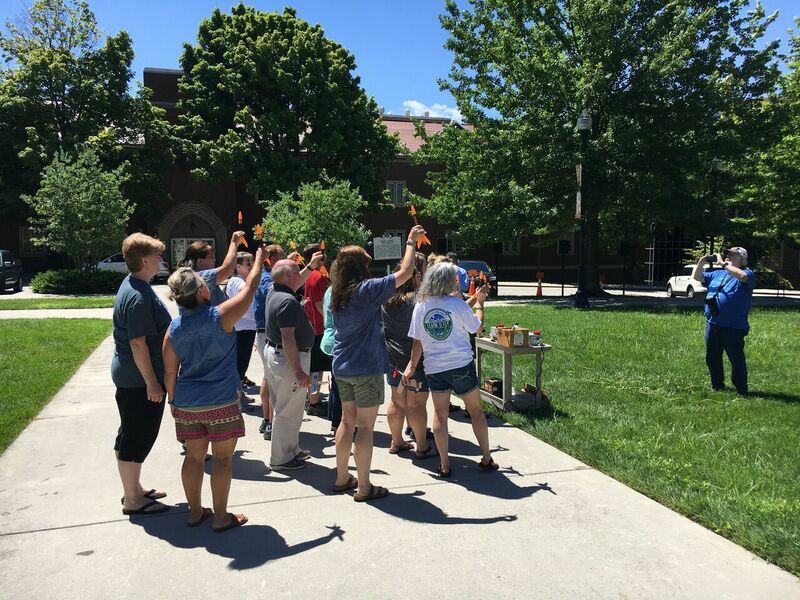 NASA Announces eClips for Educators and Students – This web-based educational project is offered free to every student and educator in the country, from kindergarten level through lifelong learners. 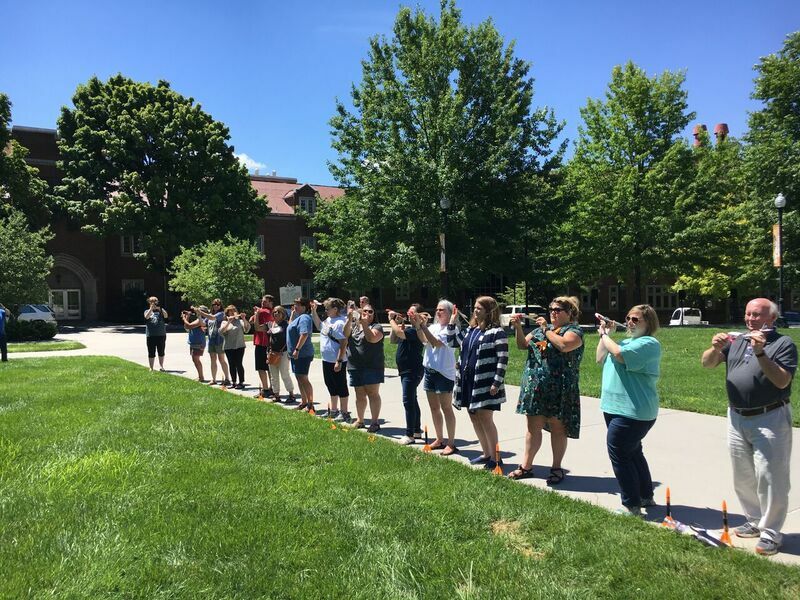 NASA eClips are short, five- to 10-minute video segments available on-demand via the Internet for the current school year. Check out the potential of this project at http://www.nasa.gov/education/nasaeclips . Geology Site, A outstanding site of geology related subjects and sites. agencies are now available at one WEBSITE. CAP Supply Depot, Excellent source of AE teaching supplies, AE Textbooks, AE activity supplies, model rocket, and other. GE Jet Engine, interactive education site. Florida Space Research Institute. On-Line AE courses for high school, college, teachers. Resources also. Check this site out! NASA Education’s Act Now page highlights upcoming NASA opportunities available for teachers and students. www.heavens-above.com; Note: When you use Heavens-Above, (a) be sure to include the hyphen, and (b) don't forget to enter your location, because it defaults to 0N,0E which is off the coast of Africa. Or create an account for yourself to have it remember your viewing locations. MARS PATHFINDER--Latest news and views from JPL. The Hubble Space Telescope- It never ceases to amaze! This site is provided by the Space Telescope Science Institute. Tour of the Solar System - If you have some free time why not take a tour of the Solar System? Martian Chronicle relays latest news on NASA's campaign to the red planet. Aviation Landings-Top rated on-line directory of aviation links and data. Kids Connect, American Association of School Librarians' online question-answer service. Global Schoolhouse, Teacher resource center. edhelper.com, Teacher resource site with over 6,000 lesson plans and other resources. Dave Garner is a science educator. 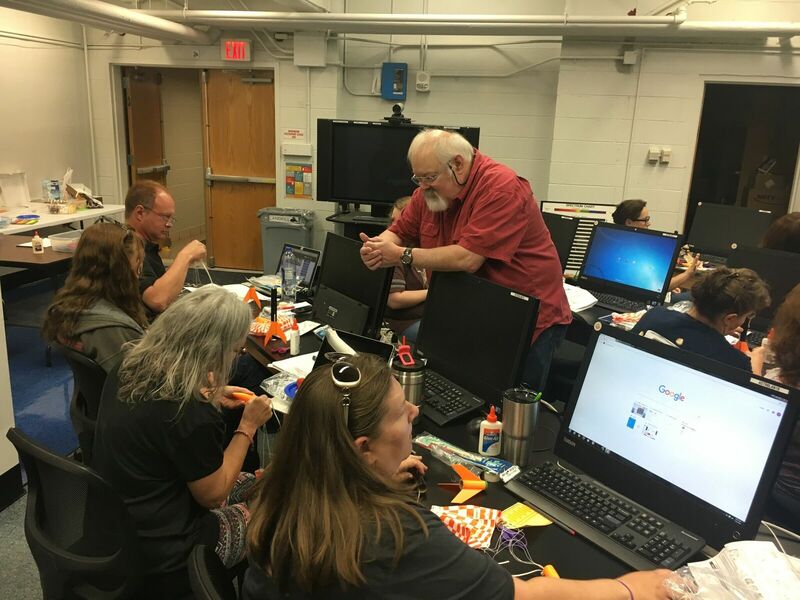 He taught earth science at the Oak Ridge, Tennessee School System from 1968 to 1981, was employed in the computer industry for the next 25 years, returning to the classroom to teach Biology and Aerospace Science at Greenback HS in Loudon County from 2003-2005 and 2006 as Guidance Counselor at Fulton HS in Knoxville. He is manager and chief engineer for radio station WUCP FM 99.9 in Farragut, TN. 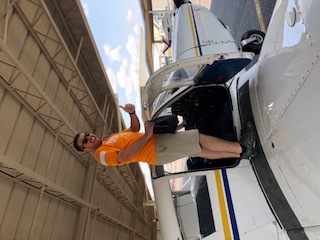 He has taught Aerospace Education at the University of Tennessee for the past 20 years each summer. 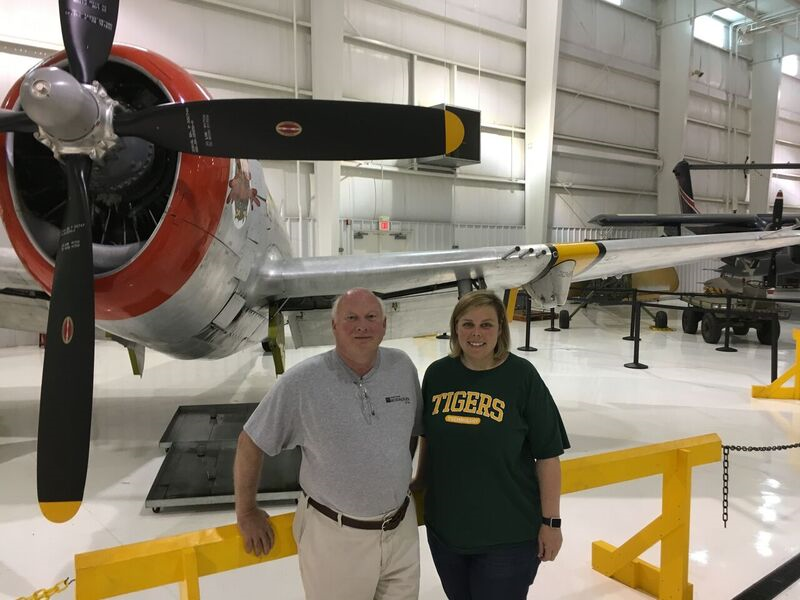 He has been involved with the Civil Air Patrol's Aerospace Education Program since 1987. He is also a member of the CAP National Leadership Team for Aerospace Education. 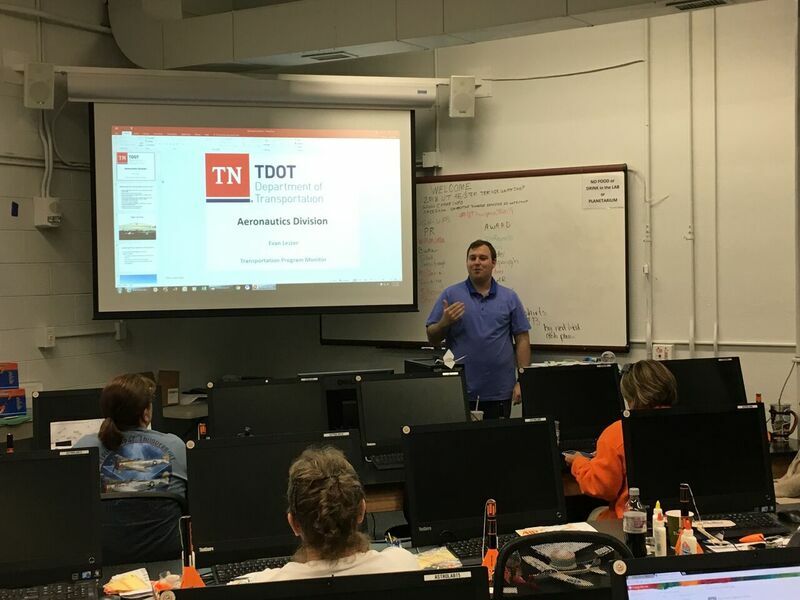 He also serves as the Co-Director of the University of Tennessee Aerospace Education Teacher Workshop held each July at UT Knoxville College of Education. He started the CAP National Aerospace Officer Staff College and served as its director for the first three years. He was honored with the National Brewer Award for achievement in Aerospace Education by a CAP member at the National CAP meeting in August 1997. His hobbies are amateur radio, (call K4YRK); amateur astronomy, computers, gardening and for fun: motorcycles and power boating. 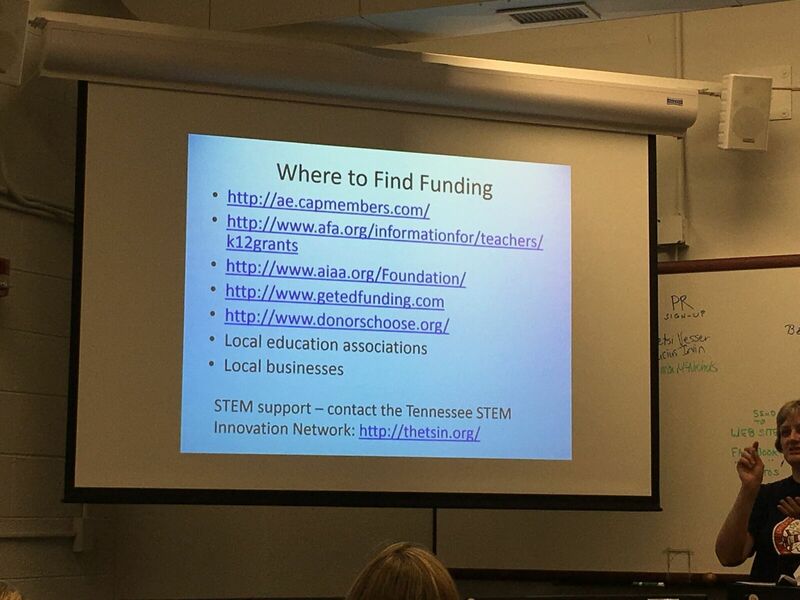 Dave currently heads up the Radio Amateur Club of Knoxville's STEM outreach program for local schools in East TN. This page will be updated as often as time permits. 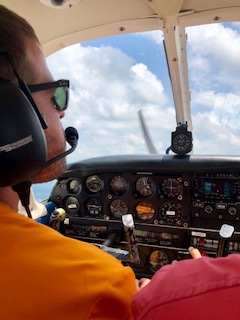 This page is presented as a public service by Dave Garner and is a private effort with no official connections to Civil Air Patrol, NASA, or any other government, company or private agency. This is a NON-PROFIT production and seeks to promote aerospace education.